An omni-channel marketing strategy focuses on a brand’s presence across channels during the consumer buying process. Not to be confused with a multi-channel marketing strategy, omni-channel marketing is about the consumer’s seamless and consistent experience throughout their purchasing journey. According to the Aberdeen Group, when successful, an omni-channel strategy can retain up to 89% of consumers. This is because consumers are more pleased when their experience is integrated across multiple online and offline marketing channels (stores, traditional media, mobile apps, social media), creating a responsive and coherent service. Strategy. Start by outlining the brand’s objectives. The same vision must be shared across all leadership and departments. Know the capabilities of other departments. An awareness of their limitations and boundaries can influence brainstorming and further strategy. The end goal is to know how to interact with the consumer in order to give them a grand brand experience. Communicate. Everyone must be on the same page. Know which of the channels consumers interact with the most, forming “touch points,” and detail those interactions to other departments. All insights should be shared, even if some may seem irrelevant to another team. Consistency. Although the channels are run by separate departments and entities, the brand voice, service, and storytelling must be consistent throughout. This, in turn, creates authenticity which leads to trust and consumer loyalty. Personalize. Evaluating data gives insight into who the consumers are, their personas, and what they prefer. A better understanding of consumers leads to more untapped marketing opportunities and personalized content/services which increases consumer engagement. Combine data systems. One overarching system to collect and connect data streams instead of a bunch of confusing separated ones would streamline processes. Emphasize the importance of recording data in the same level of detail to teams in order to easily analyze it down the road. Personas. Create content that speaks to the different segmentations of personalities and demographics of your brand. Depending on their interests and how they interact with the brand, automate responses that lead to customer relationship building and lead nurturing. Connect. Let the consumer behavior determine how the brand interacts. Connect with the consumer by observing how they initiate interactions and respond with the same level of transparency. Analyze. Analytics will inform new strategies for outreach. Leadership should be willing to embrace and learn from the risk and mistakes that come with experimentation. Channels. Understand the different channels and platforms in order to create a personalized, consistent service. Whether in the physical store or online - all services should be linked. Take it slow. Don’t try to tackle 100% of omni-channel at once. Activate channels one by one to scale and understand how best to use the data and communicate the brand. Start with mobile and work from there since, according to research from the Columbia Business School, most consumers’ lifestyles revolve around checking mobile devices up to 150 times a day. AgencySparks’ newest agency partner MaxMedia specializes in omni-channel marketing. For an example of an agency who tackles both in and out-of-store omni-channel retail and commerce, check them out. Organize departments and make their brand voice consistent. Collaborate channels and activate channels one-by-one. Leverage data to give insight into what consumers prefer. 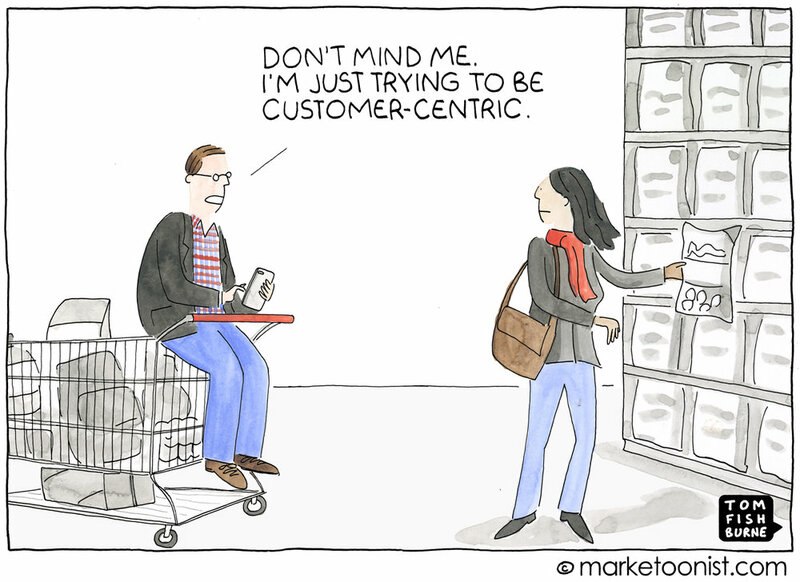 Be customer centric by tailoring content to build relationships.